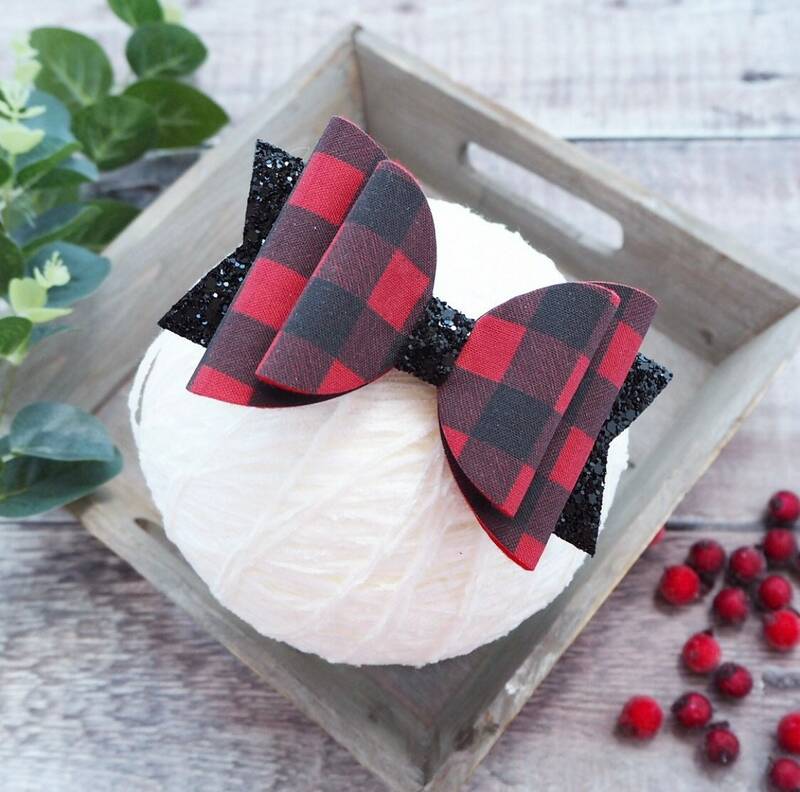 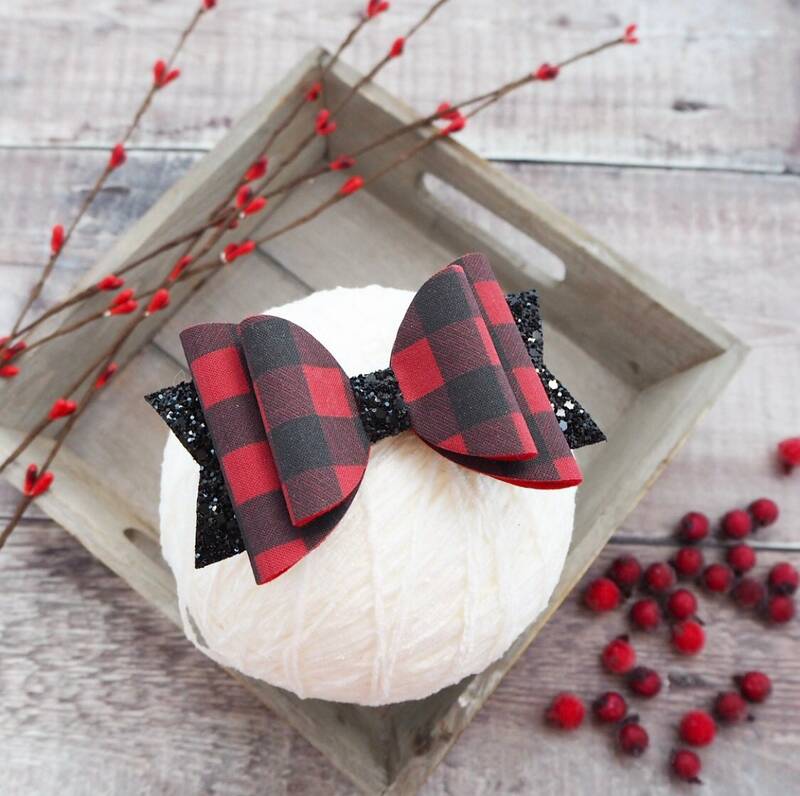 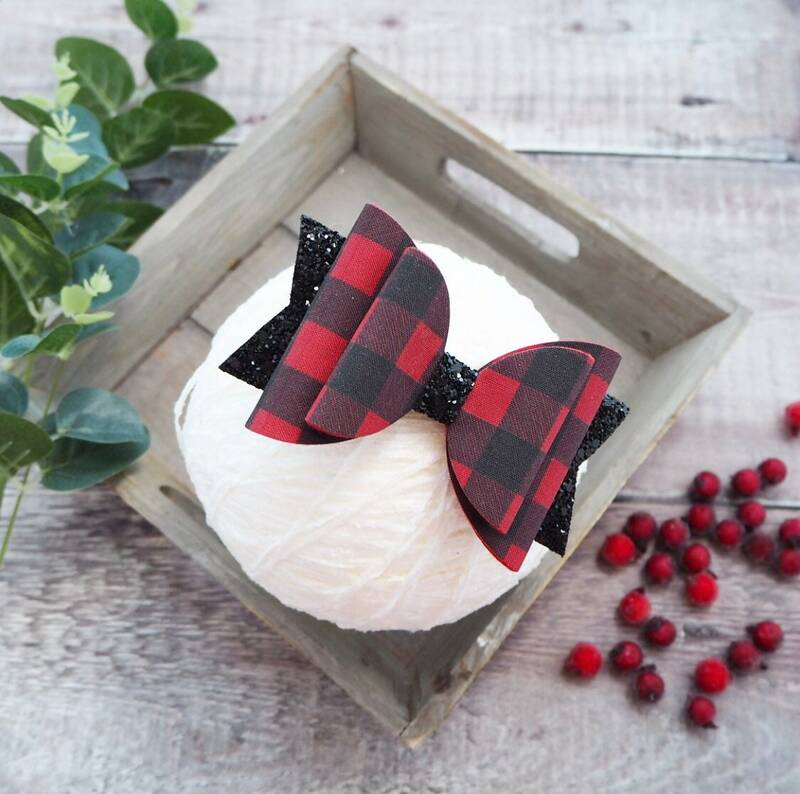 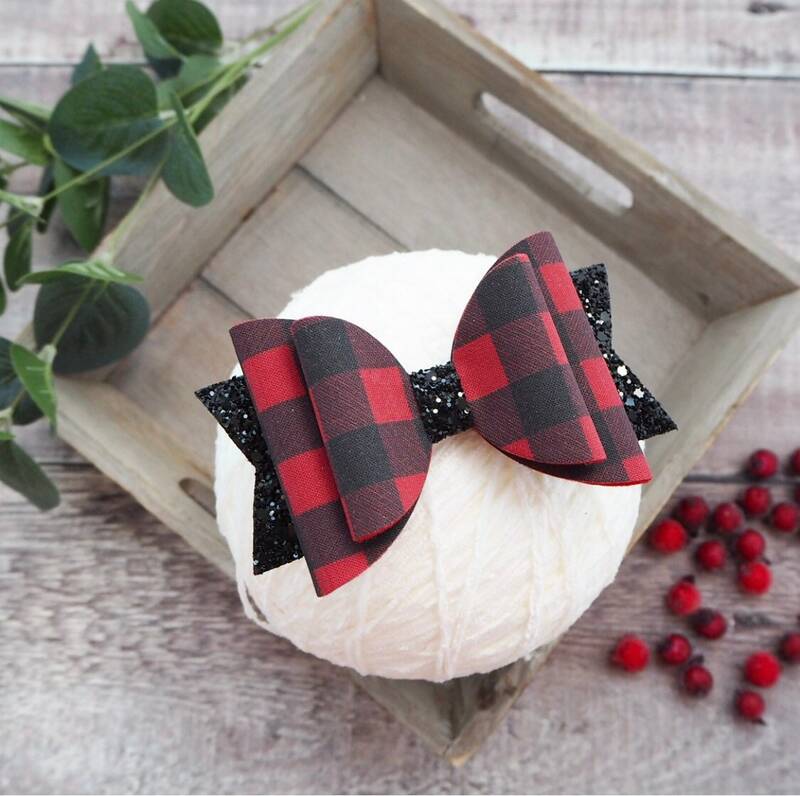 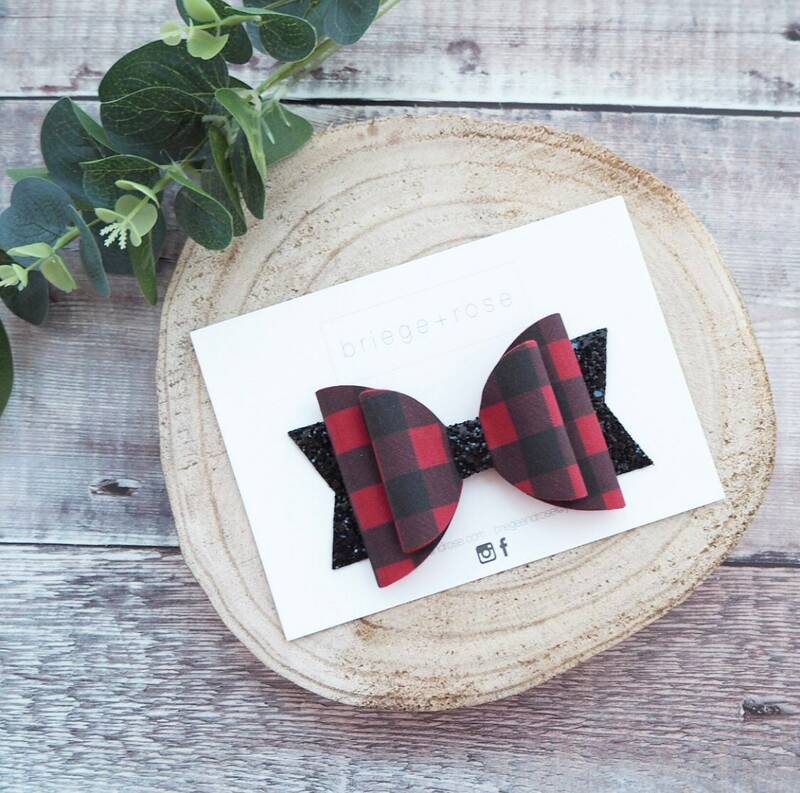 A gorgeous large bow made from red and black buffalo check plaid and teamed with black glitter. 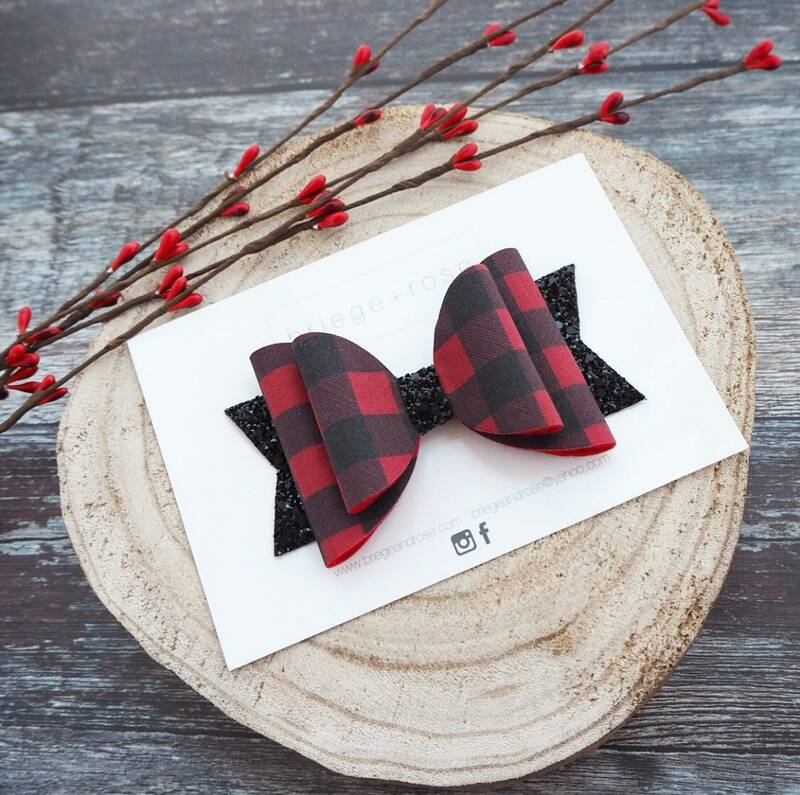 This bow comes on a clip. 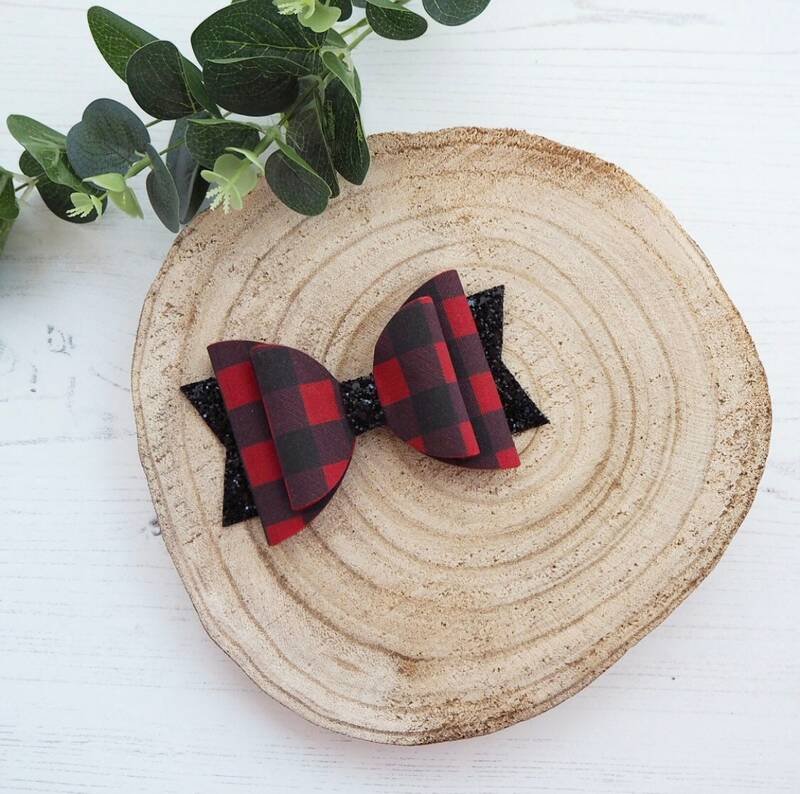 Can be made onto a headband but we do recommend a clip due to the size of the bow. 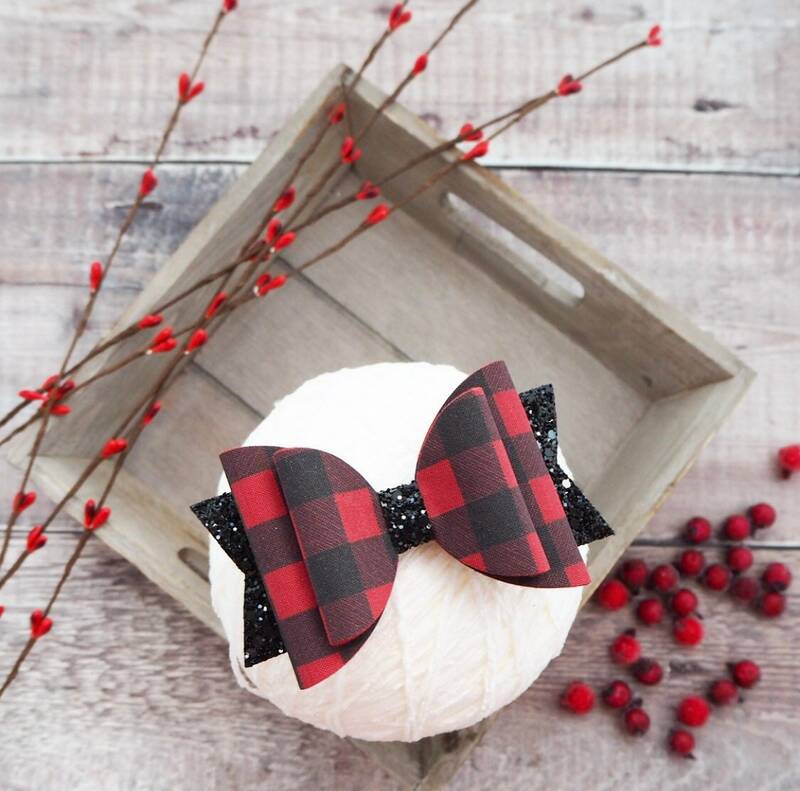 Such a sweet well made bow! 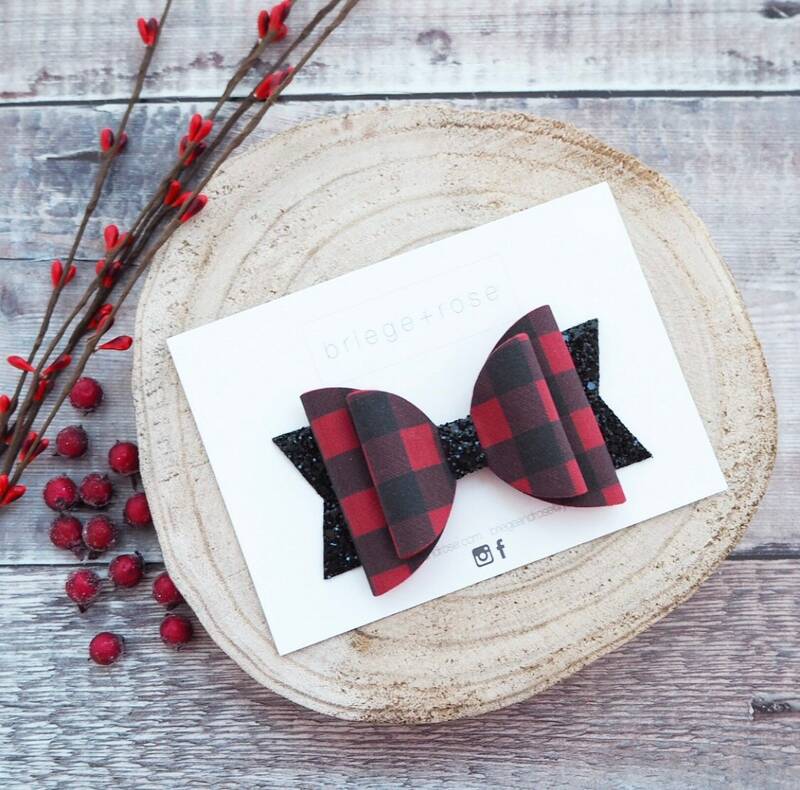 Packaging was lovely and seller included a candy candy cane. 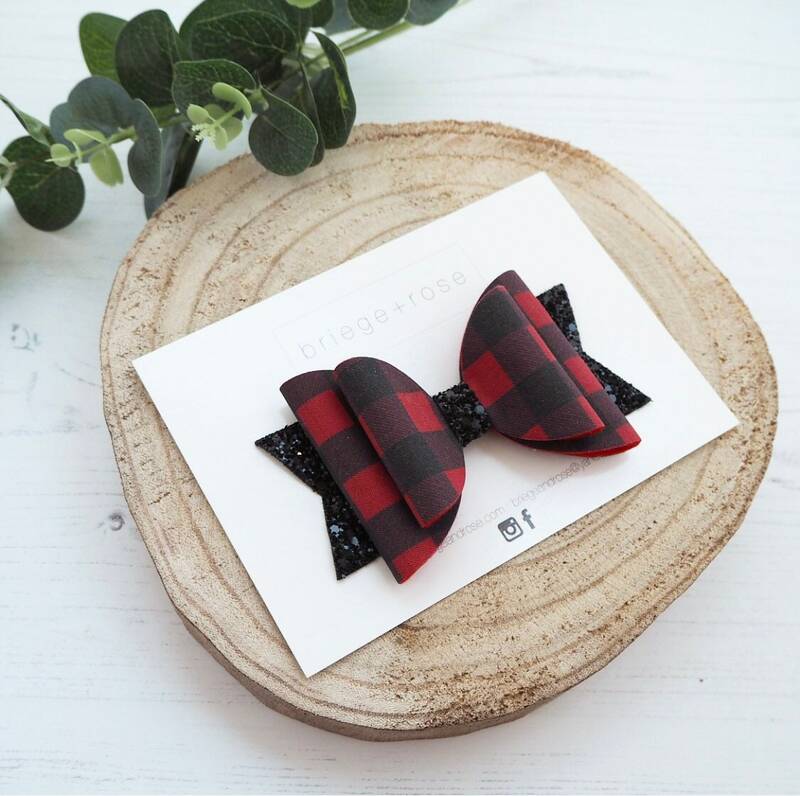 Thoughtful!